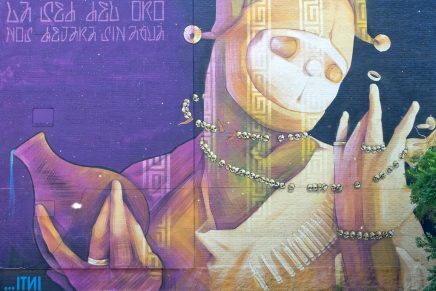 Towards a Material Commons - Guerrilla Translation! In this fascinating conversation hosted by KMO from the C-Realm Podcast, Michel Bauwens, Dmytri Kleiner and John Restakis tackle these questions, and arrive at a series of proposals combining new models of social co-ops with commons-oriented peer production and systems for collective financing. KMO: You are listening to the C-Realm Podcast, I am your host, KMO, and I am joined from Quito, Ecuador, by Dmytri Kleiner, Michel Bauwens, and John Restakis, so I’ll introduce you each individually. 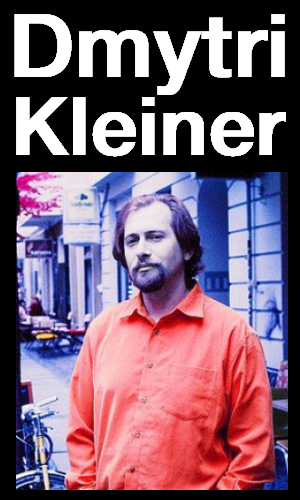 Dmytri Kleiner, this is our second conversation, although his first appearance on the C-Realm Podcast. He is a venture communist and the author of the Telekommunist Manifesto. Dmytri, welcome to the C-Realm Podcast. 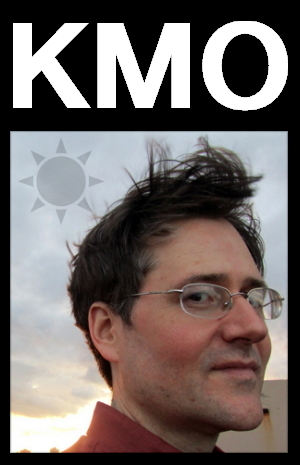 KMO: Say just a little bit more about yourself. Don’t say anything about what brings you to Ecuador, though, I’ll ask you about that in a moment. Dmytri: I’m a member of the collective called Telekommunisten. We make artworks that investigate the political economy of information, and especially the ways the Internet and social media has developed. As part of doing that, there’s a lot of writing that goes along with it, including the Telekommunist Manifesto, which looks at the history of copyright, and the history of networks and communication platforms from a materialist perspective. KMO: And Michel Bauwens, you are back on the C-Realm Podcast, you are the founder of the P2P Foundation, and you’re working to achieve the commons-based society that can operate within a reformed market and state. Welcome back to the C-Realm Podcast. 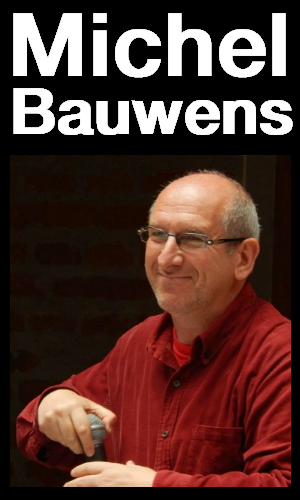 Michel Bauwens: Thanks, it’s an honor. KMO: And also John Restakis, the author of Humanizing the Economy, Cooperatives in the Age of Capital. John welcome to the C-Realm podcast, and please tell us a bit more about yourself. John: Right, I have been involved with the cooperative movement, primarily in Canada, over the last 18, 19 years or so. Up until this summer I was executive director for the BC Cooperative Association, and I have been involved with writing and lecturing around cooperative economies and globalization. I’ve done a lot of work around co-op development, both in Canada and internationally, paying a lot of attention to the evolution of the cooperative model, for the creation of a new kind of market as a response to the failed neoliberal paradigm that we’re living through at the moment. KMO: Michel, let’s start with you. You are all three in Quito, Ecuador, as invited speakers for a conference there. If you would, say a little bit about the conference, and why the conference organizers invited you in particular, what you bring to the table for this discussion. Michel: John and I are working on something called the FLOKSociety Project. FLOK means free, libre, open knowledge society. It’s based on a speech that Pres. Rafael Correa gave some months ago where he asked young people to work and fight for open, commons knowledge-based society. Three official organisms signed an agreement, the Ministry of Knowledge, and the SENESCYT which is like an open innovation in science secretariat, and the postgraduate University of the state, called EIAN. These three asked us to provide a transition program to move Ecuador towards a commons-based model. 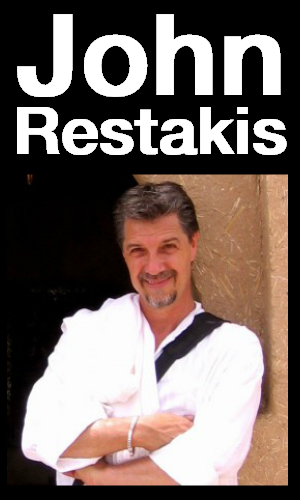 I’m the research director and John Restakis is a research stream coordinator about institutional innovation. The other thing is the conference which you asked about, called Minga. It’s about technological sovereignty. Now that we know that everything we do is monitored and surveilled, especially by British and American intelligence, the questions are, is there anything we can do about it, is there anything we can do to preserve our privacy, protect our communications from systematic spying? And both Dmytri and I are speaking in the conference. I’m introducing the FLOK society to this public of quite committed free software activists here in Ecuador. Dmytri, do you want to add something about the conference? Dmytri: Sure. I’m here as a member of the free software community. I’m a developer, and have been for a long time. I introduced a critical analysis within the community which often feels that technology can solve all our problems. There is a very common attitude of the free software community that all we need to do is code better software and we can overcome things. So the reason we can’t defeat Facebook is that we simply haven’t coded a better thing. I don’t understand the problem in those ways, I understand the problem politically and economically, in that the modes of communication we use are very tightly coupled with the modes of production that finance them, so I was invited here to express that opinion in this group. Michel: John do you want to add anything? John: Just to say that, I’m part of the research team that Michel just outlined for the FLOK society project. I’m not actually participating in this conference, I’m not a techie by any means and I’m having a hard time just following the conversation when I go to one of those things. I’m focused on the policy formation around this transition to a new, open knowledge and commons-based economy, and that’s the research work I’m doing here. Perhaps I can pitch this back to Michel, and ask if you can provide the framework for the conversation we’re going to have, kind of an echo of what we talked about the other day. Michel: I’d like to start with outlining the issue, the problem around the emergence of peer production within the current neoliberal capitalist form of society and economy that we have. We now have a technology which allows us to globally scale small group dynamics, and to create huge productive communities, self-organized around the collaborative production of knowledge, code, and design. But the key issue is that we are not able to live from that, right? The situation is that we have created communities consisting of people who are sometimes paid, sometimes volunteers, and by using open licenses, we are actually creating commonses – think about Linux, Wikipedia, Arduino, those kinds of things. But what is the problem? The problem is I can only make a living by still working for capital. So, there is an accumulation of the commons on the one side, we are effectively producing a commons, but we don’t have what Marx used to call social reproduction. We cannot create our own livelihood within that sphere. The solution that I propose is related to the work of Dmytri Kleiner – Dmytri proposed some years ago to create a peer production license. I’ll give you my interpretation of it; you can only use our commons if you reciprocate to some degree. So, instead of having a totally open commons, which allows multinationals to use our commons and reinforce the system of capital, the idea is to keep the accumulation within the sphere of the commons. Imagine that you have a community of producers, and around that you have an entrepreneurial coalition of cooperative, ethical, social, solidarity enterprise. The idea is that you would have an immaterial commons of codes and knowledge, but then the material work, the work of working for clients and making a livelihood, would be done through co-ops. The result would be a type of open cooperative-ism, a kind of synthesis or convergence between peer production and cooperative modes of production. That’s the basic idea. I think that a number of things are happening around that, like solidarity co-ops, and other new forms of cooperative-ism. I would like John to briefly explain what that means. John: First I should just mention that as I said earlier, I’ve been involved in the co-op movement, both in Canada and internationally for the last 17 or 18 years or so, but I’m relatively new to what I am calling the new commons movement. It’s largely through the interaction with Michel and others from that sphere that I’m becoming aware now of how extensive and vibrant this new commons movement is. So, the question for me has always been how to reimagine and reinterpret the cooperative model as a response to the current crisis, and beyond, that we’re living in at the moment. Historically, the cooperative movement goes back long way, and it’s achieved enormous successes all around the world, both in the North and South. 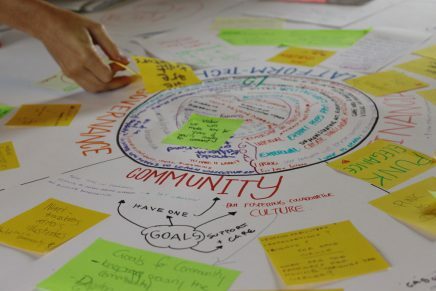 But it hasn’t had much of a direct connection to this emerging commons movement, which shares so many of the values and principles of the traditional cooperative movement. One of the issues I’m interested in addressing is how to bridge this gap between the cooperative movement internationally, and the international commons movement. There is very little dialogue between those two. I think there is a need for convergence between the traditional historical cooperative movement in this new form of commons, which is finding its voice now as a new way of thinking about social relationships, production relationships, developing new kinds of economies, as Michel just outlined. This reinterpretation of the cooperative model as a particular form can add a lot of stability and strength and power to the commons movement. As far as I can see, it’s still largely a technology movement. There’s also a lot of peer-to-peer work going on, but it’s not very well versed around issues like cooperative organization, formal or legal forms of ownership, which are based on reciprocity and cooperation, and how to interpret the commons vision with a structure, an organizational structure and a legal structure that actually gives it economic power, market influence, and a means of connecting it to organizational forms that have durability over the long-term. Michel: I’d like to add something. I experience this on a human level almost daily. The young people, the developers in open source or free software, the people who are in co-working centers, hacker spaces, maker spaces. When they are thinking of making a living, they think startups. They have been very influenced by this neoliberal atmosphere that has been dominant in their generation. They have a kind of generic reaction, “oh, let’s do a startup”, and then they look for venture funds. But this is a very dangerous path to take. Typically, the venture capital will ask for a controlling stake, they have the right to close down your start up whenever they feel like it, when they feel that they’re not going to make enough money. They forbid you to continue to work in the same sector after your company has failed, and you have a gag order, so you don’t even have free speech to talk about your negative experience. This is a very common experience. Don’t forget that with venture capital, only 1 out of 10 companies will actually make it, and they may be very rich, but it’s a winner-take-all system. There is a real lack of knowledge within the young generation that there are other forms of enterprise possible. I think that the other way is also true. A lot of co-ops have been neo-liberalizing, as it were, have become competitive enterprises competing against other companies but also against other co-ops, and they don’t share their knowledge. They don’t have a commons of design or code, they privatize and patent, just like private competitive enterprise, their knowledge. They’re also not aware that there’s a new way of becoming more competitive through increased cooperation of open knowledge commons. This is the human side of it, and we need to work on the knowledge and mutual experience of these two sectors. Both are growing at the same time; after the crisis of 2008, we’ve had an explosion of the sharing economy and the peer production economy on the one side, but also a revitalization of the cooperative sector. Before Dmytri intervenes, I would like John to talk about the solidarity co-ops, and how that integrates the notion of the commons or the common good in the very structure of the co-op. John: Historically, cooperatives have been primarily focused around providing support and service to the members. Cooperatives, which are basically a democratic and collective form of enterprise where members have control rights and democratically direct the operations of the co-op, have been the primary stakeholders in any given co-op – whether it’s a consumer co-op, or a credit union, or a worker co-op. That has been the traditional form of cooperatives for a long time now. Primarily, the co-op is in the service of its immediate members. That has changed over the last 15 years or so, particularly in the field of the provision of social care. These social co-ops have now exploded in Italy. I think they have taken over, in a sense, the provision of social care services in many communities under contracts to local municipalities. In the city of Bologna, for example, over 87% of the social services provided in that city are provided through contract with social co-ops. These are democratically run organizations, which is a very different model, much more participatory, and a much more engaged model of designing social care than the traditional state delivered services. The idea of co-ops as being primarily of interest in serving their own immediate membership has been expanded to include a mandate for the provision of service to the community as a whole. This is an expansion of this notion of cooperatives into a more commons-based kind of mission, which overlaps with the philosophy and values of commons movement. The difference, however, is that the structure of social co-ops is still very much around control rights, in other words, members have rights of control and decision-making within how that organization operates. And it is an incorporated legal structure that has formal recognition by the legislation of government of the state, and it has the power, through this incorporated power, to negotiate with and contract with government for the provision of these public services. One of the real strengths of the cooperative form is that it not only provides a democratic structure for the enterprise – be it a commercial or social enterprise – but it also has a legal form that allows it to enter into contract and negotiate legal agreements with the state for the provision of public services. This model of co-op for social care has been growing in Europe. In Québec they’re called Solidarity co-ops, and they are generating an increasing portion of market share for the provision of services like home care and healthcare, and it’s also growing in Europe. Michel: Before introducing Dmytri, I’d like to reiterate one of the key problems that maybe Dmytri’s proposals will be able to solve. John has been explaining public services, but what about material production? This is where the issue arises: we have commonses of knowledge, code and design. They’re more easily created, because as a knowledge worker, if you have access to the network and some means, however meager, of subsistence, through effort and connection you can actually create knowledge. However, this is not the case if you move to direct physical production, like the open hardware movement. What we see in the free software movement is that there are democratic foundations like the Apache foundation or the Gnu foundation, which means that the community has its own organization. In hardware, we don’t see that, because you need to buy material, machines, plastic, metal. Some people have called the open hardware community a “candy” economy, because if you’re not part of these open hardware startups, you’re basically not getting anything for your efforts. Dmytri’s offering us a vision of a commons of material means of production which I’d like him now to explain. He uses what I think is a bit provocative as a concept, the concept of “venture communism”. You think about venture, you think about venture capital, right? Dmytri, can you tell us what you mean? Dmytri: In the 90s, I was part of the anarchist-communist, anti-globalization movement. At the same time I was also making a living as an IT consultant in a very dotcom-fueled environment. I was a really big believer in what we now call peer production. We didn’t have these terms back then, but what we now call peer production, which attempts to describe the ways that people cooperate on networks, or within free software. I envisioned this transforming our social relationships worldwide, and achieving the age-old dreams of anarchist-communism. But that all came crashing down in the early 2000s, with the dotcom bust, and the George Bush administration’s massive crackdown on protests, from Seattle, Québec City, Miami. All of a sudden, the unstoppable-ness of our movement seemed to be stopped, it seemed to be something that I couldn’t believe in anymore. I quickly realized that this network that we were building – the Internet and the free software community – was largely enabled by our jobs for the dotcom bubble, for capitalism. It was being funded by venture capital. Realizing that venture capital wouldn’t fund the anarchist-communist social relationships that we believed were embedded in these platforms, it became clear that we needed something else. So I called that something else “venture communism”, with the intention to study what that might look like, and how we might achieve it. I originally encountered Michel after seeing some talks by Benkler and Lessig at the Wizard of OS 4, in 2006, and I wrote an essay criticizing that from a materialist perspective, it was called “The creative anti-commons and the poverty of networks”, playing on the terms that both those people used. The basis of the criticism in both cases was that they were describing peer production in a way that was very different from our conception. We didn’t have this term, this term came from Benkler, but we were talking about what we thought was the same thing. They conceive of peer production, especially Benkler, as being something inherently immaterial, a form of production that can only exist in the production of immaterial wealth. From my materialist point of view, that’s not a mode of production, because a mode of production must, in the first place, reproduce its productive inputs, its capital, its labor, and whatever natural wealth it consumes. From a materialist point of view, it becomes obvious that the entire exchange value produced in these immaterial forms would be captured by the same old owners of materialist wealth that existed before, after, and during. This was the beginning of my dialogue with Michel. 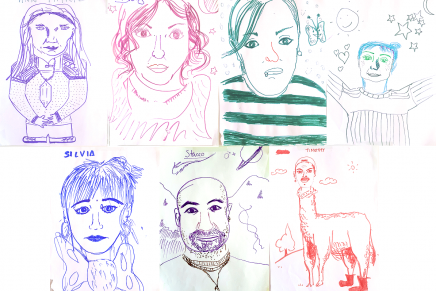 I argued for a different definition of peer production, rather than as something that is inherently immaterial, I defined it as independent producers collectively sharing a commons of productive assets. That definition of peer production is much more compatible with anarchist-communist, anarchist-syndicalist roots, and also better describes the peer-to-peer technologies that inspired the term “peer production”. So, to try to explain what “venture communism” is, which is my own project, predating the term “peer production”, but very relevant to it. I think we’re talking about the same thing, even if I was using different terms. As a technologist, I was also inspired by the functioning of peer networks and the organization of free software projects. These were also the inspiration for venture communism. I wanted to create something like a protocol for the formation and allocation of physical goods, the same way we have TCP/IP and so forth, as a way to allocate immaterial goods. The Internet gives us a very efficient platform on which we can share and distribute and collectively create immaterial wealth, and become independent producers based on this collective commons. Venture communism seeks to tackle the issue of how we can do the same thing with material wealth. I drew on lots of sources in the creation of this model, not exclusively anarchist-communist sources. One was the Georgist idea of using rent, economic rent, as a fundamental mutualizing source of wealth. Mutualizing unearned income is essentially what that means in layman’s terms. The idea is that people earn income not only by producing things, but by owning the means of production, owning productive assets, and our society is unequal because the distribution of productive assets is unequal. Even within the cooperative movement, which I’ve always admired and held up as an example, it’s clear that the distribution of productive assets is also unequal. The same with other kinds of production; for example, if you look at the social power of IT workers versus agricultural workers, it becomes very clear that the social power of a collective of IT workers is much stronger than the social power of a collective agricultural workers. There is inequality in human and capital available for these cooperatives. This protocol would seek to normalize that, but in a way that doesn’t require administration. The typical statist communist reaction to the cooperative movement is saying that cooperatives can exclude and exploit one another, and that solution is either creating giant cooperatives like Mondragon, or socialist states. But then, as we’ve seen in history, there’s something that develops called an administrative class, which governs over the collective of cooperatives or the socialist state, and can become just as counterproductive and often exploitive as capitalist class. So, how do we create cooperation among cooperatives, and distribution of wealth among cooperatives, without creating this administrative class? This is why I borrowed from the work of Henry George and Silvio Gesell in created this idea of rent sharing. The idea is that the cooperatives are still very much independent just as cooperatives are now. The producers are independent, but instead of owning their productive assets themselves, each member of the cooperative owns these together with each member of every other cooperative in the Federation, and the cooperatives rent the property from the commune collectively. This is not done administratively, this is simply done as a protocol. The idea is that if a cooperative wants an asset, like, an example is if one of the communes would like to have a tractor, then essentially the central commune is like a bond market. They float a bond, they say I want a tractor, I am willing to pay $200 a month for this tractor in rent, and other members of the cooperative can say, hey, yeah, that’s a good idea,we think that’s a really good allocation of these productive assets, so we are going to buy these bonds. The bond sale clears, the person gets the tractor, the money from the rent of the tractor goes back to clear the bonds, and after that, whatever further money is collected through the rent on this tractor – and I don’t only mean tractors, same would be applied to buildings, to land, to any other productive assets – all this rent that’s collected is then distributed equally among all of the workers. So, the unearned income, the portion of income derived from ownership of productive assets is evenly distributed among all the cooperatives and all the stakeholders among those cooperatives, and that’s the basic protocol of venture communism. Michel: Okay, Dmytri, just to make sure I understand it right, it’s like a basic income, right? In the sense that you have your wage, because you work, and then in addition you get this rent from all the productive forces held together by all the members of this economic unified cooperative production? Dmytri: Exactly. Whatever productive assets you consume, you pay rent for, and that rent is divided equally among all members of the commune. Not the individual cooperatives, but the commune itself. This means that if you use your exact per capita share of property, no more no less than what you pay in rent and what you received in social dividend, will be equal. So if you are a regular person, then you are kind of moving evenly, right? But if you’re not working at that time, because you’re old, or otherwise unemployed, then obviously the the productive assets that you will be using will be much less than the mean and the median, so what you’ll receive as dividend will be much more than what you pay in rent, essentially providing a basic income. And conversely, if you’re a super motivated producer, and you’re greatly expanding your productive capacity, then what you pay for productive assets will be much higher than what you get in dividend, presumably, because you’re also earning income from the application of that property to production. So, venture communism doesn’t seek to control the product of the cooperatives. The product of the cooperatives is fully theirs to dispose of as they like. It doesn’t seek to limit, control, or even tell them how they should distribute it, or under what means; what they produce is entirely theirs, it’s only the collective management of the commons of productive assets. Michel: Dmyitri, I think your theory has three constitutive elements, one is the venture communism, what are the two others? Can you briefly recall your idea of the peer production license, which I mentioned at the beginning? Dmytri: …pre-figurative politics, versus statist politics. And with the idea of counter politics, I’m trying to show that this is actually a false dilemma, because the idea of pre-figurative politics presupposes that we have the wealth in order to create these pre-figurative enterprises, these pre-figurative startups or co-ops or whatever. My materialist background tells me that when you sell your labor on the market, you have nothing more than your subsistence costs at the end of it, so where is this wealth meant to come from? I believe that the only reason that we have any extra wealth beyond subsistence is because of organized social political struggle; because we have organized in labor movements, in the co-op movement, and in other social forms. We have fought for this, so that we now have more than our subsistence. And this is the reason that we can’t even consider pre-figurative solutions. To create the space for prefiguring presupposes engagement with the state, and struggle within parliaments, and struggle within the public social forum. What I propose in counter politics is that we don’t think of engaging in party politics, as in the sort of classic Leninist party idea, that we will take the state, that we will impose new social relationships from the top down, and we will go through an intermediary stage of socialism, and we will finally achieve communism. This is a very problematic conception, and I’m not very hopeful that that kind of solution would work. Instead, we should think that no, we must engage in the state in order to protect our ability to have alternative societies, in order to protect the benefits that we have now, in order to protect the public services and the public goods, and the public benefits. We have to acknowledge that there are certain social functions that the state provides that are socially necessary, and we cannot do without them. We can only get rid of the state in these areas once we have alternative, distributed, cooperative means to provide those same functions. Just because we can imagine that they can exist doesn’t make them exist. We can only eliminate the state from these areas once they actually exist, which means we actually have to build them. We have to create alternative ways to provision healthcare, childcare, education, to deal with human frailty and economic cycles, all these kinds of social functions the state provides that are socially necessary. Dmytri: There’s a strange corner of the activist community that’s called alternative economics, and this is almost held in the same disdain as conspiracy theory by most activist groups. Everybody thinks, oh, yes, alternative currencies and alternative kinds of things are kind of irrelevant to the social thing. What I mean by insurrectionary finance is that we have to acknowledge that it’s not only forming capital and distributing capital, it’s also important how intensively we use capital. We have to understand the role of money, the role of debt, the role of economic interactions, and how to model them in order to create a more intensive use of capital. If you understand the capitalist economy, everybody knows that the amount of money in the economy is greatly expanded through economic things like loans, securities, and various economic means where capital, especially finance capital, is used more intensively than it otherwise would, sometimes dangerously so. I’m not proposing that the cooperative movement needs to engage in the kind of derivative speculative madness that led to the financial crisis, but at the same time we can’t… it can’t be earn a dollar, spend a dollar. We have to find ways to create liquidity, to deal with economic cycles, and so we have to look at alternative economics in order to do that. And sometimes even not-so-alternative economics, as we’ve talked about before. Paradoxically, I’m rather inspired by Michael Milken and the corporate raiders of the 80s that are famous for making junk bonds. They were sort of the financial side of the industrialization of the West, and their mechanisms were to issue junk bonds, low rated bonds, use these funds to buy corporations that work undervalued, and then basically strip the assets – the land, the capital, just strip them down, close them, sell of the assets, repay the bonds, keep their huge profits, and rinse and repeat, as it were, over and over again. And this to me is really interesting, because, on one hand, it’s horrible what they did, and the legacy of the damage that the corporate raiders had is pretty large. But on the other hand, it’s kind of inspiring because they did things the organized left hasn’t been able to do, which is takeover industrial means of production, right? So it seems to me that we should be inspired by that, and we should think, well, if they can take over these industrial facilities, just in order to shut them down and asset strip them, why can’t we take them over and mutualize them? It becomes even more ironic once you understand that the source of investment that Milken and his colleagues were working with were largely workers pension funds. It was actually the savings of workers – achieved through social struggle as we’ve talked about before. Unions got together and struggled against the bosses to allow workers to save, which was already struggle one, then they put these savings into pension funds – and then Milken and his followers sold their bonds to these pension funds and used this money to destroy the factories that the workers were working in. Michel: I think it’s maybe time for John to make some comments on Dmytri’s ideas. John: A couple of thoughts come to mind around the idea of venture communism – it’s great term by the way – and a new model for pooling, based on the capture of unearned income. It’s a very suggestive model, there are close models to this that are already being used by cooperatives to share machinery. For example, I know for example in Québec, there is a particular form of co-op that’s been developed that allows small or medium producers to pool their capital to purchase machinery and to use it jointly. It doesn’t have exactly the form that you’re talking about, which is this kind of bond issue, which is a very interesting idea, I’d love to see that applied. The other idea I liked was trying to minimize a management class, within these systems. I know this varies from co-op to co-op and federation to federation, but I do know that in these kinds of shared pool systems of both capital and equipment, that the organizations that are put in place for the management of these systems are, by comparison to other forms of control, much more lean and accountable because they are accountable to boards of directors that represent the interests of the members. But I take your point around that. So, very interesting idea. The second point that comes to my mind is around this tension that you described within the left, and among activists. It’s a tension around their relationship to the idea of the market, and to capital for that matter. I’ve run into this repeatedly among social change activists who immediately recoil at the notion of thinking about markets and capital, as part of their change agenda. I think what was most revelatory to me around the cooperative movement was that I used to think of the same way. The most important lesson I took from my contact with the cooperative movement was a complete rethinking of economics. I had thought previously, like so many, that economics is basically a bought discipline, and that it serves the interests of existing elites. I really had a kind of reaction against that. When I saw and understood that cooperatives were another form of economics, a popular form of economics, it completely shifted my perception around what social change entails, with respect to the market. One of the things I think we really have to do is to recapture the initiative around vocabulary, and vision, with respect to economics. John: And a key part of that is reimagining and reinterpreting, for a popular and common good, the notion of market and capital. And that’s what cooperatives, among other kinds of systems, do. They reclaim the market. I think that’s a fundamental task, in terms of educating and advocating for a vision of social change that isn’t just about politics, and isn’t just about protest, it has to be around how do we reimagine and reclaim economics, and how do we develop forms where markets actually belong to communities and people, not just to corporations. Traditionally markets were not just a property of corporations and companies, and capital wasn’t just an accumulated wealth for the rich. Capital can be commons capital, it can be a commons market, and we need to come up with forms and models that actually realize that in practice, and that’s what the peer-to-peer movement is, that’s what the cooperative movement is, and we need to find ways of conjoining those two. Michel: I agree too, and I think this is a really nice way to start our conclusion, just to make another reference to the project here in Ecuador. I think in many countries now, there are ministries of the social economy, of the solidarity economy, but they’re always seen as kind of marginal add-ons. I think what we’re potentially talking about here is to make the social economy hyper-productive, hyper-competitive, hyper-cooperative. The paradox is that capital already knows this. Capital is investing in these peer production projects, and cooperatives are not yet massively turning that way, so this is what we have to achieve. 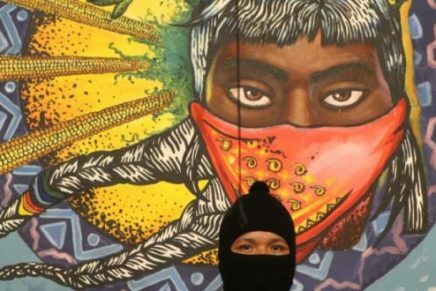 Part of the proposal of the FLOK society project in Ecuador will be to get that strategic reorganization to make the social economy strategic, not just as an add-on to an existing neoliberal format. I think we’ve pretty much finished, but I just wanted to mention that the end of our discussion in the bar, I proposed that the P2P foundation, which has a co-op, would also try to create a seed form for what Dmytri proposes. I hope that they weren’t drunk when they were saying that, but John and Dmytri actually said they would cooperate (laughter). So, KMO, maybe you have a last question? I think that we’re nearly at the end of the allotted time. KMO: Well, we are at the end of the allotted time, I have been taking notes and I have a lot of questions (laughter). What I’ll have to do is get each of you on Skype individually in the coming weeks, and put my questions to you one-on-one, because I think that there’s at least three episodes worth of questions that I have here. Michel: Yes, it’s very dense and I apologize to your listeners, l hope it wasn’t sleep inducing! but this is strategic, we’re talking about the DNA of the system, and I think that’s why it’s so important that we had this occasion to actually talk together and compare our perspectives. KMO: Well, I’m very happy to of been a party to it, and I’m looking forward to re-listening, because I know I’ll be taking a lot more information from the recording that you’ve made as as I listen to it and edit it for a one-hour podcast. Dmytri Kleiner, Michel Bauwens, and John Restakis, thank you very much for all the work you’re doing, and for participating on the C-Realm Podcast. 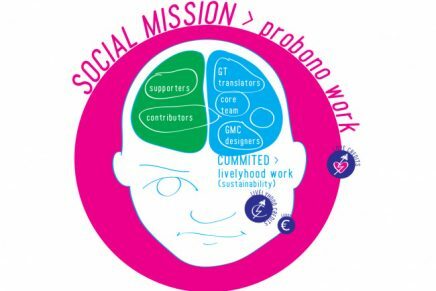 The P2P Foundation blog, as three extracts: Bauwens, Restakis, Kleiner. Siempre tenés que tener guita y conseguir guita ?